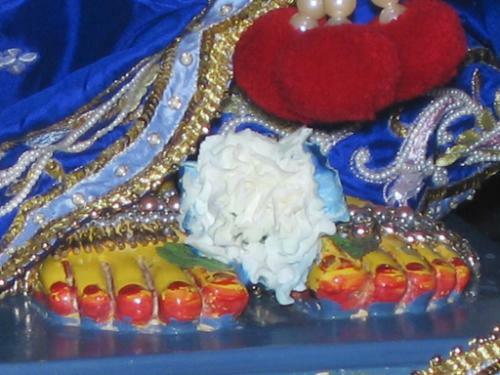 "So we should relish this instruction of Narottama das Thakur that in order to get relief from the pangs of blazing fire of this material existence, one should take shelter of the lotus feet of Lord Nityananda because it is as cooling as the moon rays combined together of millions of moons. That means one will immediately find peaceful atmosphere. Just like a man works whole day and if he comes under the moonshine he feels relief." *Click here to read the complete article about Lord Nityananda.